Welcome to our dental office! We’re happy to see that you’ve taken the first step towards maintaining good oral health through regular check-ups and cleanings. Our team is committed to providing the best experience to all of our patients and we take great joy in seeing you smile with confidence. We are proud to offer a full range of dental care services to Fonthill and surrounding regions. While we offer a range of care, General family dentistry is the foundation of our practice. Our experience and skills in oral health education, maintenance, and care will ensure that your smile is as bright as it can be, every single day. Along with our specialized dental expertise in areas such as Implant Dentistry, Cosmetic, and Pediatric Dentistry, our practitioners are highly educated and trained to diagnose, prevent, and treat most conditions of the mouth, teeth, and gums. Our priority is your oral health. The foundation of dental care is regular cleanings and examinations. Visiting our office regularly will ensure that we can detect any potential issues early, and prevent advanced dental problems from occurring. At Fonthill Marketplace Dental, we offer a full range of services that will ensure your optimum oral health no matter what stage of life you’re at. Your mouth is as unique as your fingerprint. so all of our treatment plans are individualized. 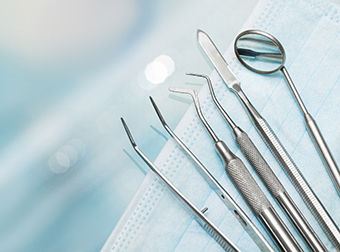 General teeth extractions: In case of any decayed teeth, we carry out safe tooth extractions. Wisdom teeth removals: wisdom teeth can be a nuisance, but we have the right experts to help you do away with such teeth. Dentures: full and partial dentures, custom-fitted to your needs. Snoring appliances: an easy solution to snoring! in case you have snoring issues, we recommend the best appliances to deal with diverse snoring conditions. Call our office today to book your first visit! We can’t wait to meet you.